Summertime and the living should be easy, right? Yet somehow we often end up so stressed and busy that we don’t have time to enjoy it – and that’s a crying shame, isn’t it? Often it’s because we get just so caught up in the complexity of life. Let’s look at some ways we can all slow down, smell the roses, simplify and ‘soulify’ our lives. They won’t all be for you because we’re all totally different, each with our own individual needs. But if something chimes, give it a go! Stretch into yoga. Yoga is a great way to connect with body, mind and spirit. A good class is both grounding and uplifting. Yes, you can do it solo, but hey, sharing is good too. There’s a yoga style for everyone – roadtest a few until you find the one that brings your Omm on! Stop hurrying. Seriously, it doesn’t make you more productive! Focus on the moment, work on one thing at a time (multi-tasking isn’t smart, honestly). Live and work at a pace that feels human, centered and whole. Get out into nature. The vast majority of us don’t get out enough. We need to feel the earth/grass/sand/rock under our feet on a regular basis. Get thee to a park, at the very least, shake off your sandals and really feel your surroundings. Don’t judge – just be. Learn to listen. It takes effort to listen, truly to listen. We all want to talk, to express our own opinion. Maybe we weren’t heard as children? Focus your attention, all your attention, on what the other person is saying. It’s a gift for both of you. Appreciate your friends. Make a list of the people who really light up your day. Make a date in the diary for a picnic, a lazy lunch in the park (notching up #3 at the same time!) or a yoga class (yay, we’re all about doubling up on our soulifying!). Make a list. Brainstorm a list of at least 20 teeny tiny things you’d love to do – jettison the big life changes and ‘ought to’s’ and focus on things that would make you smile: fly a kite, bake muffins, see the sunrise, stargaze, go wild floating or swimming, learn to knit…you get the idea! Schedule at least one a week for the summer (and, hey, beyond). Cook mindfully. 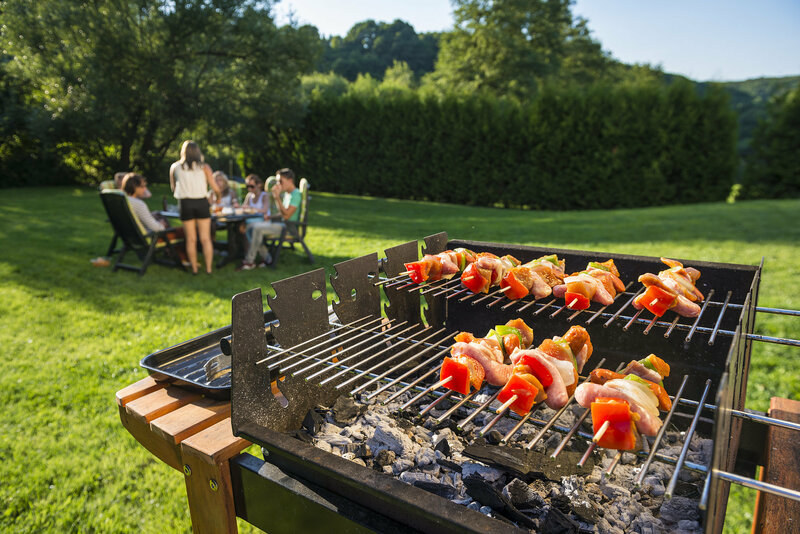 Summer is a great time for socializing and nothing is as social as sharing food. Beach barbecues, picnics in the woods, brunch in the back yard. It doesn’t need to be fancy – far from it! Cook simple things with love and mindfulness – it’s all about the company and the sharing. Need a little help relaxing into summer? Some of our blends are tailor-made to help. Tension Tonic – for when you’re so stressed and strung out you can’t even think about doing any of this! Balance – does exactly what it says on the tin, a beautiful grounding blend that helps you fuse body, mind and soul into one lovely congruent whole. Optimism – when we’re up to our ears in work, children, commitments (or all of the above!) it can be tough to keep your smile on. Optimism is your sunny friend in need. Nonstop Thoughts – for when your mind really needs to take some time out and go sit quietly in the corner! Meditation Guru – our favorite friend on – and off – the yoga mat. Not just great for yoga and meditation but for whenever you want to switch off and let your soul do the talking. Confidence - if you’re trying something new, it can be challenging. Let our ‘get up and do it’ blend hold your hand and give it a reassuring squeeze. This is your go-to soulful summer spritzer! Pack it for all your summer outings and apply liberally whenever you have soulful get-togethers or, indeed, when you’re on your own too. We’ve blended oils that will lift your mood, ground your feet and let your spirit soar! Directions: Add oils to water in spray bottle, shake gently to mix. Note: Shake gently before use. Avoid spraying directly on the face.